I agree with this. Repeating a frame or an idea—even to mock it—distributes and strengthens that idea. 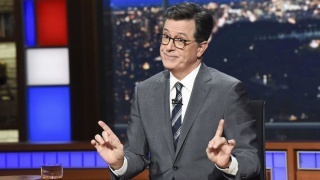 I love Colbert but I stopped watching a long time ago. Laughing wasn't enough to make up for the disturbing source material. It reminds me again that the old Internet cliché don't feed the trolls is something the media hasn't adopted yet. See also the great way Jay Smooth put it: Don't Link to the Line Steppers.